11th INDOMEDICARE EXPO 2019 Jakarta Indonesia | International Exhibition Medical & Hospital Equipments, Pharmaceutical Health Care Products. Organizer: Krista Media Pratama PT. INDOMEDICARE EXPO 2019 is the Medical Trade Shows on Hospital, Medical, Pharmaceutical, Medicine, Clinical Laboratories, Equipment, Health Care and Services. 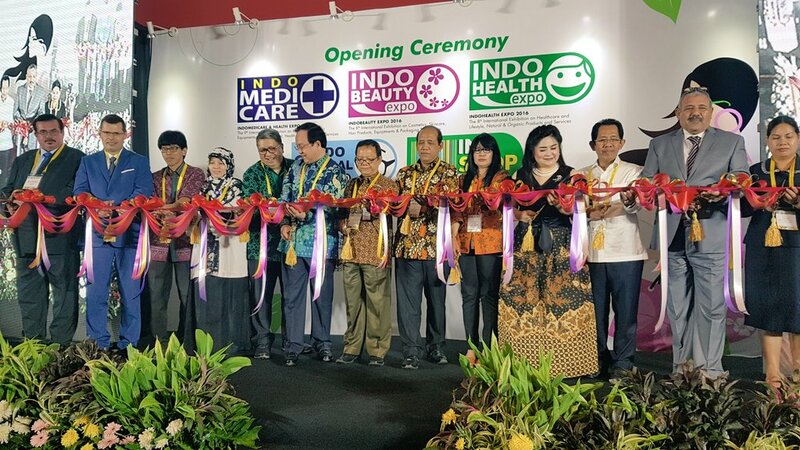 The INDOMEDICA EXPO (INDOMEDICARE EXPO 2019) will be held between 21- 23 March, 2019 at Jakarta. The INDOMEDICARE EXPO is being organized by Krista Media Pratama PT. The amount of guests likely to take part in The INDOMEDICA EXPO, Fair and Exhibition is almost 5800. INDOMEDICARE EXPO - 11th International Exhibition on Medical, Dental & Hospital Equipment, Medicine, Health Care, Supplies & Services is organized annually. • Physical Fitness Equipments etc.